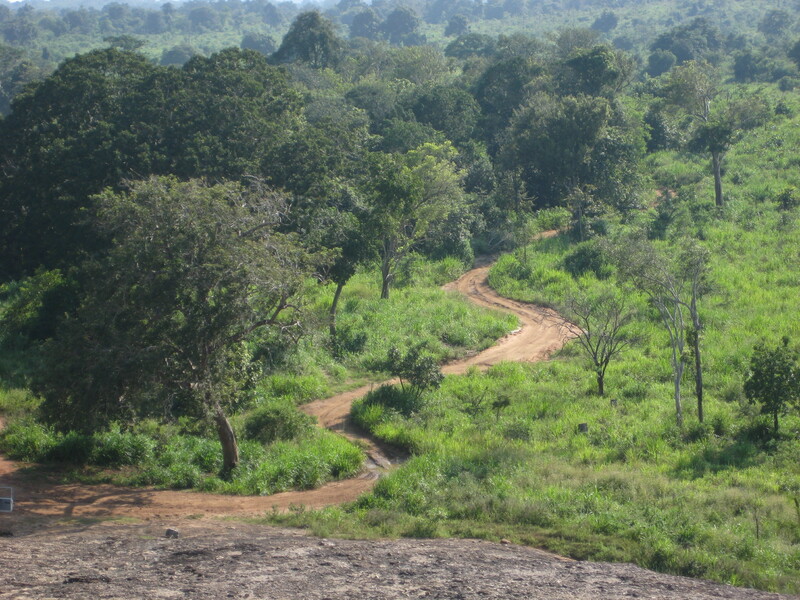 A Sri Lankan national park. Actually we didn’t tread this particular long brown path afoot, which I did not truly regret—it was ninety degrees, the road was ankle-deep in mud, and the elephants in Minneriya National Park are wild animals, and human-caused elephant deaths are not at all uncommon. We drove across the park in a jeep with a determined driver who could navigate any amount of mud, no matter how deep. He mastered potholes of truly epic proportions—I’ll never again complain about the tiny pinholes in the streets of Amsterdam. But the park was magnificent. At midday, under the broiling sun that only mad dogs and Englishmen and tourists go out in, we didn’t see a lot of wildlife. We did get some good view of elephants. But the real star wasn’t the elephants but the park itself. 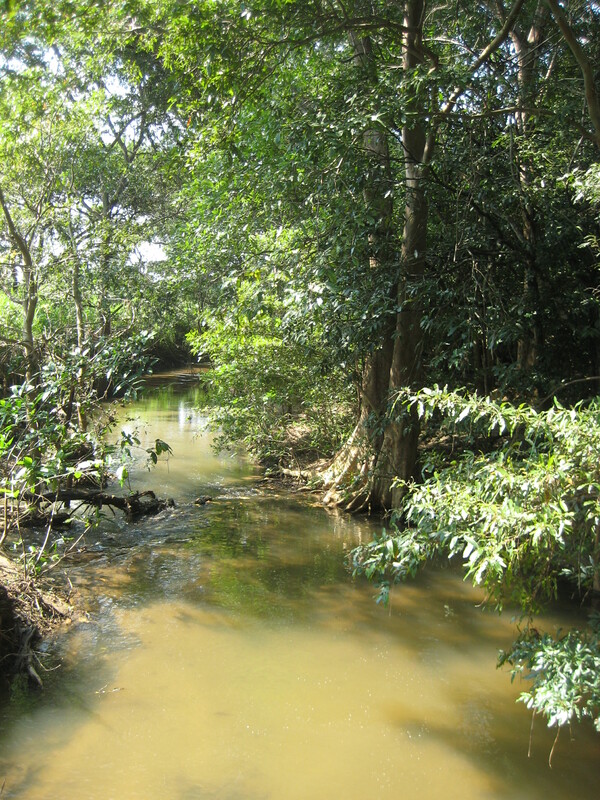 Minneriya has been a wildlife reserve since 1938. 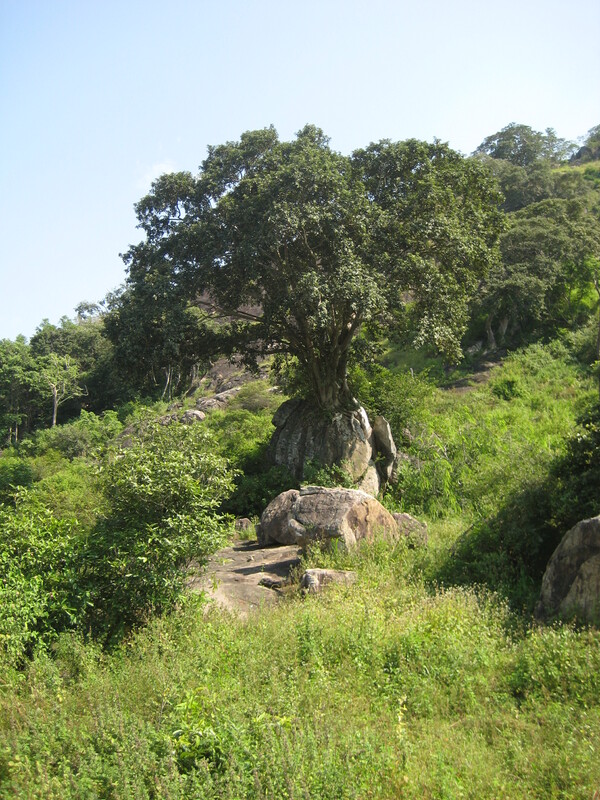 As Sri Lanka develops at breakneck pace to keep up with an incoming flood of tourism, it’s wonderful that they have an extensive national park system already in place. Places like this have to be safe-guarded and cherished. Walt Whitman is a favorite of mine! What beautiful pictures!